Great source of fake or biased news. Great podcast about things going on in the world. I would find out things much faster than from American news outlets. Thank you for being in real time! Attempt to break up the demonstration was thwarted by the military. Also: the latest from Libya where thousands of civilians have been forced to flee the latest exchanges between warring factions south of the capital, Tripoli, and how wildlife prosecutors in Kenya are attempting to stamp out poaching of some of the country's greatest assets. Military commander Khalifa Haftar’s forces continue their attack on Tripoli and reports say they’ve launched an airstrike. Also in this programme: the acting White House Chief of Staff says Democrats will never see President Trump’s tax returns, and we’ll hear how one man travelled 95,000 kilometres from Amsterdam to Sydney in an electric car. Forces loyal to the military commander Khalifa Haftar have continued their offensive, despite international calls to stop the fighting. 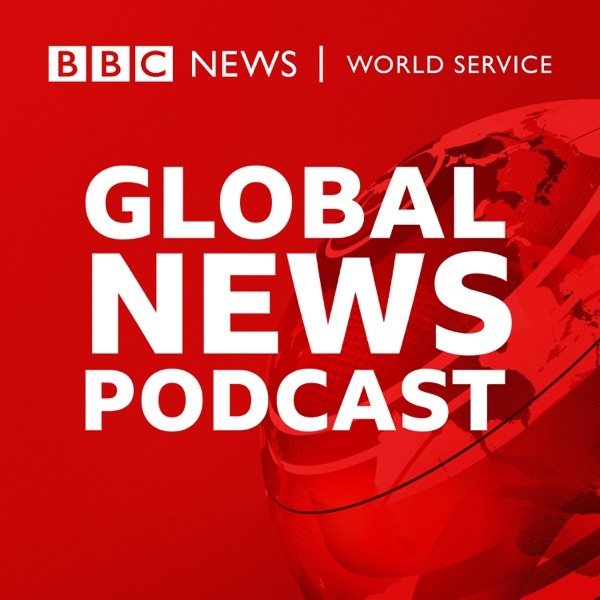 Also in the podcast: mass demonstrations against Sudan’s president continue outside the army headquarters and the new symphony raising awareness of the environmental challenges facing the Arctic. The UN Security Council along with the G7 have condemned the fighting in Tripoli after UN Secretary General Antonio Guterres failed to convince military leader Khalifa Haftar to stop advancing towards the capital. Also in this programme: President Trump visits a completed section of his wall on the US Mexican border, and researchers find even moderate drinking can cause a stroke. The UK is due to leave the EU on 12 April but no withdrawal deal has been approved by MPs. Mrs May has proposed that if UK MPs approve a deal in time, the UK should be able to leave before European Parliamentary elections in May. And activists in Saudi Arabia say at least seven people, including two dual US-Saudi citizens, have been detained over their links to women's rights campaigners. The first official report into last month's plane crash has found that the pilots followed Boeing procedures, but were unable to control the aircraft. Also, Australia passes controversial new laws which could see social media executives jailed if they fail to swiftly eject violent videos from their platforms; and ousted car industry boss Carlos Ghosn is arrested for a fourth time in Tokyo. Democrats want to see the full, unredacted document of the Mueller report, which investigated Russian attempts to interfere with the 2016 presidential election. Also: the British prime minister Theresa May meets the opposition Labour party in an attempt to find a way out of the Brexit deadlock, and Dutch salvage teams stumble on a 16th century shipwreck. The AK party has complained of irregularities, and posted victory posters depicting President Recep Tayyip Erdogan and its mayoral candidate Binali Yildirim around the city. Also: The EU's chief negotiator has said a 'no deal' Brexit is becoming more likely by the day, and the broken bits of satellite that could threaten the International Space Station. The president's ruling AK party disputes the results as there are indications of sweeping losses including the opposition taking Istanbul. Also: the name of the new imperial era in Japan is announced and we have a report from Belarus where the discovery of a mass grave has re-opened a little-known chapter of the Holocaust. Volodymyr Zelenskiy has no political experience and won the most votes in the first round of Ukraine's presidential elections, according to exit polls. Also: President Erdogan's governing party in Turkey has lost control of several big cities in local elections, including the capital Ankara, and the rise of gun groups in LGBT communities in the US. The self-declared Venezuelan president is leading mass demonstrations against the government and its failure to prevent the repeated energy blackouts across the country - some lasting days. Also: Health officials in Gaza say four Palestinians have died during mass protests there, and the Facebook shake up that’s coming to Australia. British MPs will be asked to vote again on Brexit on Friday but only on part of the deal negotiated with the European Union. Also: A national remembrance service for the victims of the Christchurch mosque attacks has been held in New Zealand, and the Venezuelan government has barred opposition leader Juan Guaidó from holding further public office for fifteen years. After a vote in the British Parliament, none of MP’s Brexit options secures a majority. Also: The governing party in Algeria joins calls for President Abdelaziz Bouteflika to step down, and the Indian woman threatened with death for entering a temple. MPs debate future of Brexit, after taking control of the House from the government. Measures being debated include leaving EU without a deal, forming a customs union, and a confirmatory referendum. Also, Narendra Modi says India an 'established space power' after using missile to shoot down satellite, and how Dutch artist Vincent van Gogh found inspiration in London. After weeks of unrest, Lt Gen Gaed Salah called for an 'immediate' way out of the crisis. He proposed the use of a constitutional article which allows the position of president to be declared vacant if the leader is unfit to rule. Also, the American actor Jussie Smollett is cleared of charges he staged a racist attack, and what is the practice of breast-ironing? Gaza: Egypt tries to re-establish truce between Israel and Hamas. Situation now reported to be calm after overnight missile-attacks by both sides. Also, Syria's Kurds call for international tribunal for captured IS fighters, and how Dutch detective known as the 'Indiana Jones of the art world' tracked down a missing Picasso painting. EU issues warning as Theresa May presents Cabinet with her latest plans to break deadlock. Mrs. May is due to make a statement to MPs, which will be followed by a debate on the next steps to try and resolve the crisis. Also, Israeli PM cuts short official visit to Washington after a missile attack from Gaza injures 7 people near Tel Aviv, and how a Kenyan poet turned an ordinary London house into a work of art. What is going to happen in 2017? President Marine Le Pen of France? The end of the Iran nuclear deal? Some of the BBC’s most senior correspondents forecast what might or might not happen during the next 12 months. Make your own predictions and join the discussion on the World Service Facebook page.